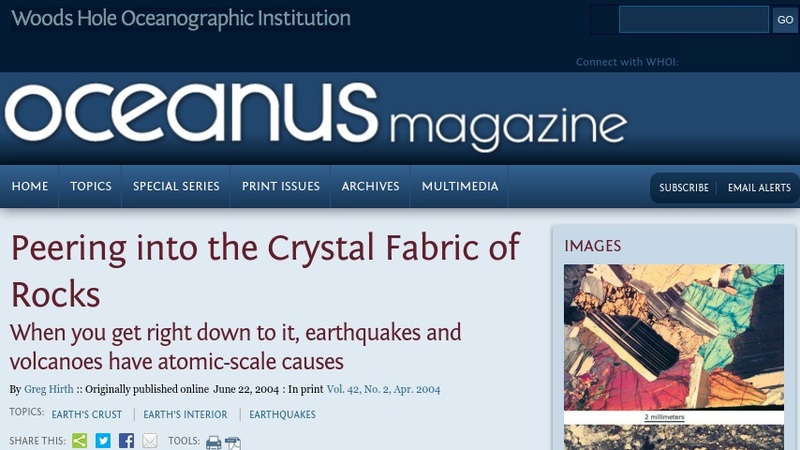 This Oceanus article describes the work of Greg Hirth, a geologist studying rock deformation and crystallography. It discusses how rocks deform as a function of pressure and heat (called rheology) and includes a short section about the possibility of microbial life in the heat and pressure-induced cracks between crystals. Hyperlinks to related articles are contained within the text of the article. The article also features a list of related links and color images of rocks and minerals under a microscope.